Dr. Satoshi Utsunomiya, Associate Professor at Kyushu University, Japan, and the lead author of the study says "when we first started to find caesium-rich micro-particles in Fukushima soil samples, we thought they would turn out to be relatively rare. Now, using this method, we find there are lots of caesium-rich microparticles in exclusion zone soils and also in the soils collected from outside of the exclusion zone." Dr. Gareth Law, Senior Lecturer in Analytical Radiochemistry at the University of Manchester and an author on the paper, adds: "Our research indicates that significant amounts of caesium were released from the Fukushima Daiichi reactors in particle form. "This particle form of caesium behaves differently to the other, more soluble forms of caesium in the environment. We now need to push forward and better understand if caesium micro-particles are abundant throughout not only the exclusion zone, but also elsewhere in the Fukushima prefecture; then we can start to gauge their impact." Dr. Utsunomiya adds: "we hope that our method will allow scientists to quickly measure the abundance of caesium-rich micro-particles at other locations and estimate the amount of caesium radioactivity associated with the particles. This information can then inform cost effective, safe management and clean-up of soils contaminated by the nuclear accident." "...smaller amounts of other radioisotopes, such as uranium..."
Uranium is relatively abundant in nature, present in drinking water and food everywhere. 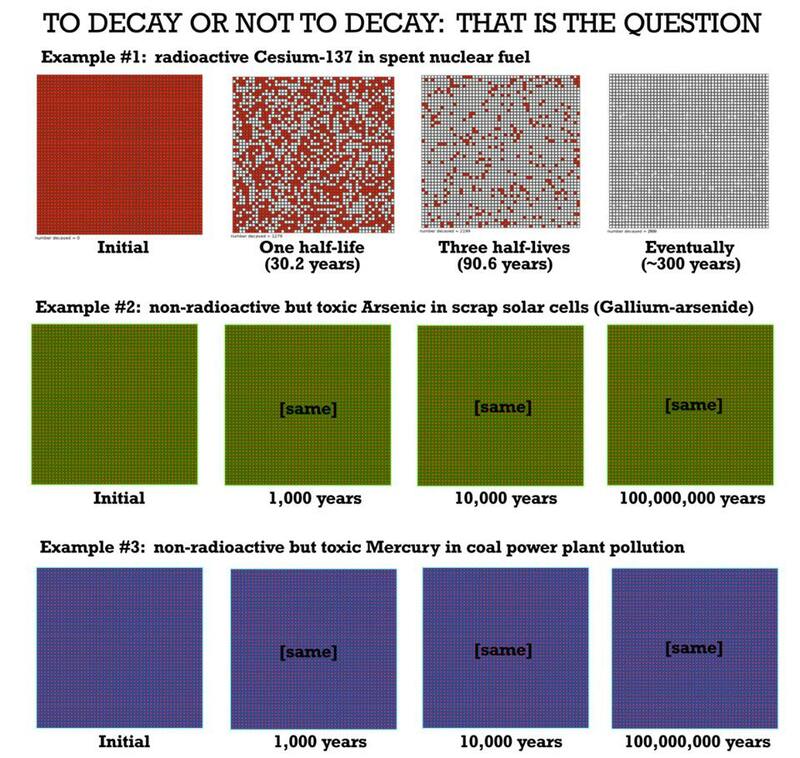 "alpha radiation from naturally occurring Polonium-210 is more damaging to biological tissues than gamma radiation from Cesium-137." This kind of fearmongering research has only served to favor coal(backup for intermittent renewables) which emits radioactive particles and which air pollution respects no border and kills millions of people every year. "Coal Ash Is More Radioactive Than Nuclear Waste"
geez willie, there ya go again! Mixing up your apples & pineapples with pine cones. Dear boy, the difference is in the intensity of radioactivity from diluted sources throughout the natural environment. 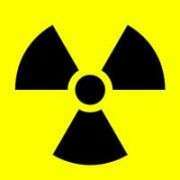 Against the sheer quantity of radiation emitted by refined nuclear fuels and weapons. Condensed to leave a swath of long-lasting contaminants throughout the environment. How about an experiment "Oh High Priest of The Atomic DemiUrge"? I toss a pebble at you. Oh good, you're paying attention. Just a natural event, a pebble bouncing off of you. Right? So I take a brick and smack you across your head with it! Definitely NOT a natural event. You noticed being hit with a brick? From the blood I'd say the greater mass and energy applied had a unfortunate result. Yeah? Nay? Hello. is there anyone still in there? But officer! We were doing a consensual scientific experiment. He insisted that excessive mass & energy are good for his health. the difference is in the intensity of radioactivity from diluted sources throughout the natural environment. Fukushima: zero deaths from radiation exposure. People receive more radiation(up to 65mSv) during a commercial flight, or visiting Kerala/Ramsar/Guarapari(up to 800mSv), than visiting Chernobyl(5mSv) or Fukushima(20mSv). leave a swath of long-lasting contaminants throughout the environment. What about arsenides and other chemical carcinogens found in solar panels that never lose their toxicity with time, worse than asbestos, and that are dumped directly into the environment?